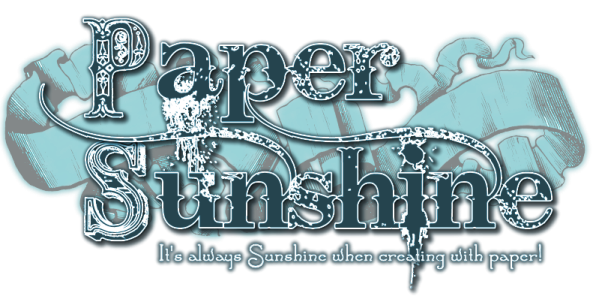 Paper Sunshine: I Did It! 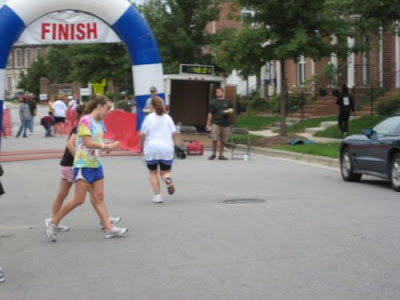 I ran my very first 5K! 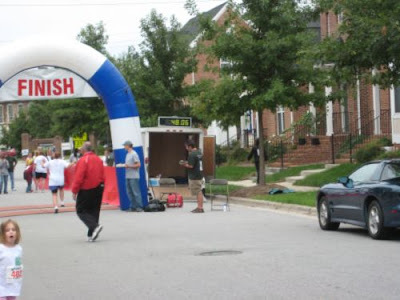 I have never run before let alone raced in my life! I tried once in High School with my friend who was on the cross country team and no go. Not even close. Now in my (ahem) 40's I decided to give it a go. Crazy but I am very surprised that the best age group in times was the 50-60 group! There was a lady 78 and one 71 and I am ashamed to say they beat me LOL! I did it in 48 minutes which considering I have only been running for 8 weeks now I am quite pleased with. I have been on a mission to get fit. 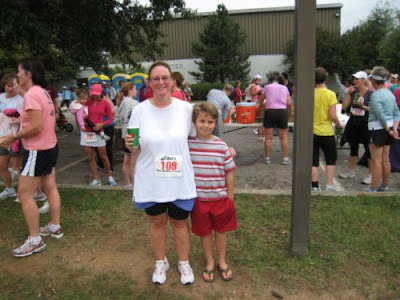 I was 60+ pounds over weight and hated exercise, ate bad for you foods and looked it. So after seeing some pictures of myself taken by my BFF when I visited her I got the motivation to do something. So I joined a gym. I had some free sessions with the personal trainer and she recommended a book called "Younger Next Year". Oh did that book inspire me! I have completely changed my diet, I exercise 6 days a week and got a heart rate monitor and keep my HR at 65% (of max) or better for an hour each time! I have lost 36 pounds in 6 months - oh my I lost 50 pounds in 6 months before with exercise only 3 times a week and same amount of calories (1200) when I was younger. Boy does the metabolism change in your 40's and I hear worse in your 50's ladies! This Summer I was surfing online and saw the couch to 5K plan and decided to try it. It works! I followed it exactly as it said and even though it is a 10 week program I did my 5K in 8 weeks of following it. Slow mind you but did it just the same. I am going to work towards a Triathlon, it might take a while but hey I plan on being around for a while! I am sooooooo super proud of you! Wow! That's great Lori! Hurray for you! Very inspiring and convicting. Good For you!!!! Rock on!!! Way to go, Lori! You have every right to be proud of yourself; you are a great inspiration to all of us!! WAY TO GO LORI!!!!! Congratulations! WOO HOO YOU!!! So awesome!! !